Ingfield Manor School is a school for children aged between 5 and 19 who have neurological motor impairment such as cerebral palsy. They have a range of abilities and associated learning difficulties. 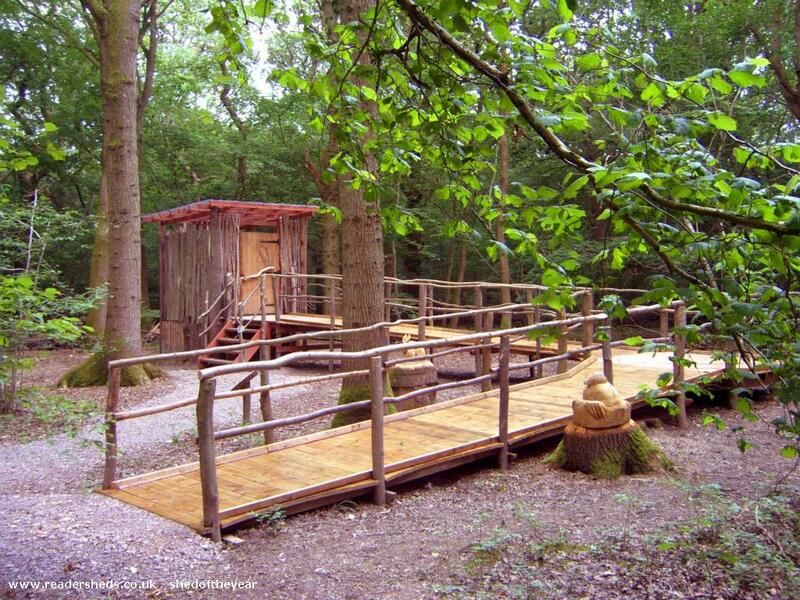 The eco-composting toilet is in the school's woodland and enables some of the pupils and students to go to the loo without having to return to the main building when they are studying outside. It is also used by volunteers in the woodland and visiting schools. 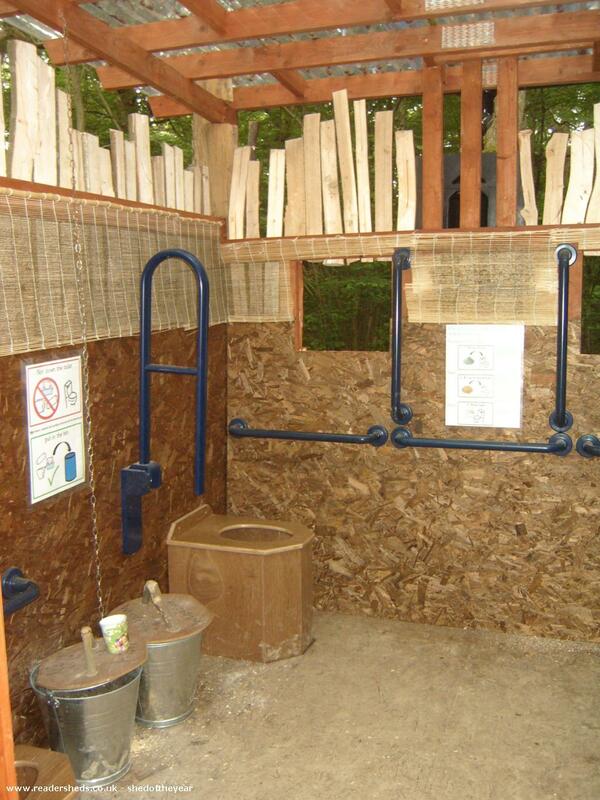 The toilet was built with the help of teams of volunteers, using thinnings from the woodland management process and up-cycled waste timber from a local housing development. A grant was secured from the local brewery to buy the hardware and over 200m of decking to make a 23m access ramp for the wheelchairs. Southern Water provided funding to allow rain water to be captured, stored and used for hand washing. The whole Woodland Project has been supported by The Friends of Ingfield. Over 3000 people have used the toilet in the past 2 years.